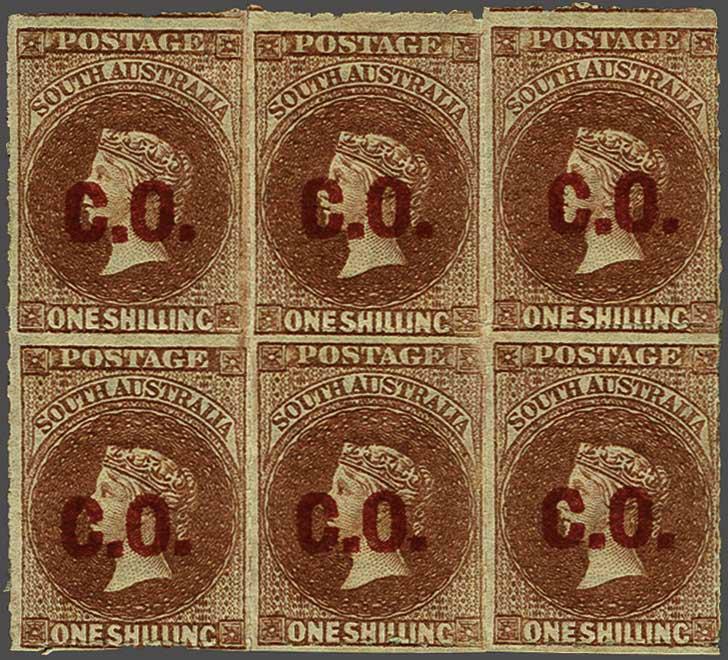 Commissariat Office 1868: Overprinted "C.O." in red, on 1 s. red-brown, wmk. Large Star, rouletted, a fine unused block of six (3 x 2), fresh colour and very fine, superb large part og. Butler S. Cert. 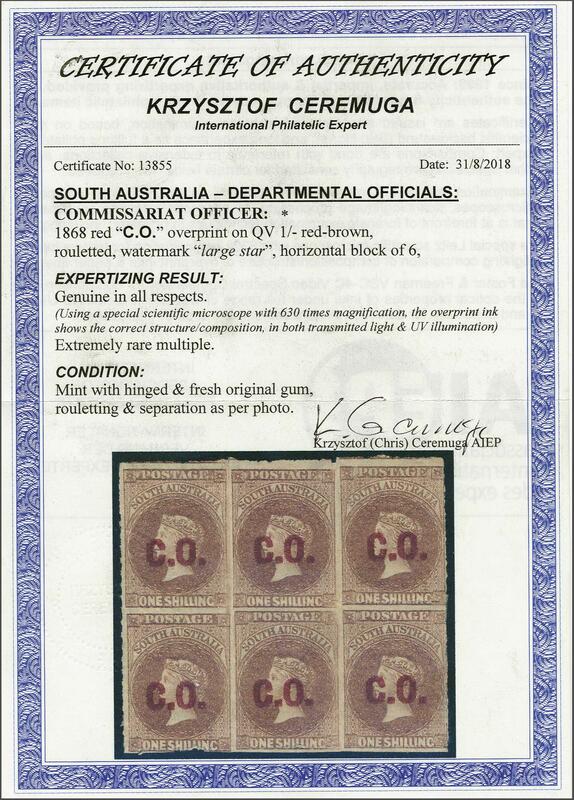 Ceremuga (2018).rnrnProvenance: Collection Col. H. Napier, RL, London, 12 Sept 1978, lot 52.